With low carb and gluten-free diets being all the rage, you may have forgotten about the original good-carb, bad-carb diet phase of the early 80s. In 1981 the glycemic Index (GI) was developed as a helpful food guide for controlling diabetes. The GI is a reflection of how quickly carbohydrates are digested and absorbed and thereby how quickly they raise a person’s blood sugar and insulin levels. A recent study however, published in the journal of the American Medical Association concluded that selecting foods based on their glycemic index may not change a person’s cardiovascular risk factors. In this study, researchers recruited overweight and obese people who were otherwise relatively healthy. For five weeks at a time they studied the effects of four different types of diets (high and low carb diets containing both high and low glycemic index foods) on clinical risk factors such as serum lipid levels, systolic blood pressure or the level of insulin resistance. 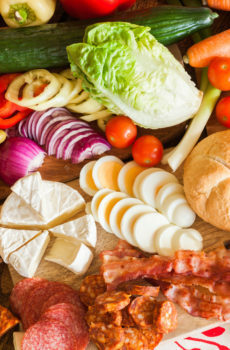 As the NYT article points out, although the diets had different amounts of low and high GI foods, protein and carbohydrates, all the diets were similarly healthy ‘Mediterranean’ style diets – all high in fibre, low in salt and saturated fat and abundant in fruit, vegetables and fish. They did NOT compare differences between healthy and unhealthy carbohydrates such as oatmeal and cocoa puffs. Comparing healthy choices to other healthy choices such as instant oatmeal to steel cut oats and bananas to apples may have been the reason large differences in clinical risk factors were not seen. It would have been interesting had they also included a diet with processed high and low GI foods typical in the North American diet. More importantly, this research was a short-term study. As such, it could not be concluded that small changes seen in clinical outcomes measured, even if they are statistically significant, would translate into improvements in an individual’s overall health or lifespan. Although this study does raise interesting questions about the importance of the glycemic index in healthy diet planning, this study was not conducted on people with diabetes, the people the GI index was originally intended to help. Effects of High vs Low Glycemic Index of Dietary Carbohydrate on Cardiovascular Disease Risk Factors and Insulin Sensitivity. The OmniCarb Randomized Clinical Trial.